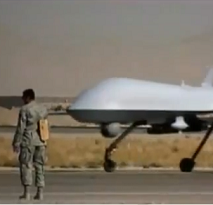 Drone Crashes and Collisions: Are “Civilian” Drones Endangering Aeroplanes and Helicopters? In June, Emily Chow, Alberto Cuadra and Craig Whitlock reported in the Washington Post that more than 400 large U.S. military drones crashed in major accidents worldwide between Sept. 11, 2001, and December 2013. 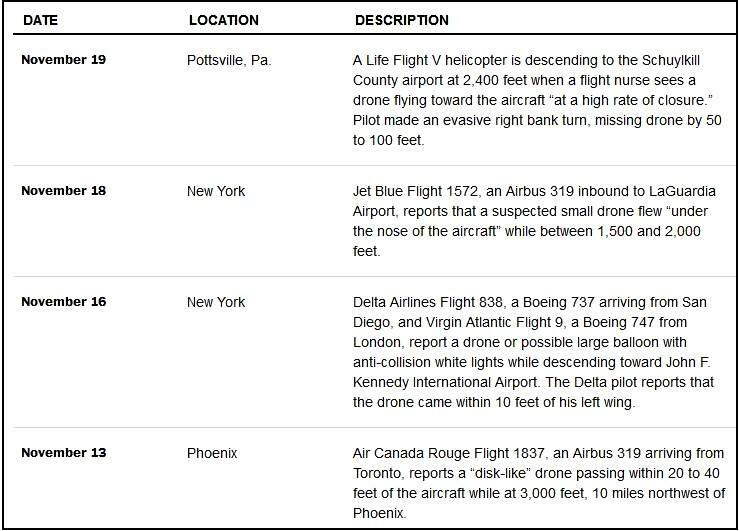 The Washington Post identified 194 drone crashes that fell into the most severe category: Class A accidents that destroyed the aircraft or caused (under current standards) at least $2 million in damage. John Tyrrell now sends a link to another article by Craig Whitlock, the Washington Post’s Pentagon and national security correspondent. “Since June 1, commercial airlines, private pilots and air-traffic controllers have alerted the Federal Aviation Administration to 25 episodes in which small drones came within a few seconds or a few feet of crashing into much larger aircraft, the records show. Many of the close calls occurred during takeoffs and landings at the nation’s busiest airports, presenting a new threat to aviation safety after decades of steady improvement in air travel”. Though the FAA had been receiving a steady stream of near-miss alerts from airliners and private pilots, the FAA publicly disclosed only one near-collision between a drone and a passenger aircraft: a March 22 incident involving a US Airways regional airliner near Tallahassee, Fla. The FAA is facing pressure from federal lawmakers and drone manufacturers to move more quickly to open the skies to remotely controlled aircraft but the aviation-safety agency lacks the manpower to police airports or effectively track down offenders. Outside Washington, Porter Airlines Flight 725 from Toronto was descending to Dulles International Airport at an altitude of 2,800 feet on June 29 when it reported that a black-and-silver drone zipped past, just 50 feet away. On June 1, a United Airlines flight originating from Rome alerted the control tower at Dulles that a four-engine helicopter drone interfered with its descent and passed just 100 feet underneath the Boeing 767. “All it’s going to take is for one to come through a windshield to hurt some people or kill someone,” said pilot Kyle Fortune”. Several other near-collisions have been reported by pilots of rescue helicopters used to transport patients needing emergency medical attention. DJI, the Chinese firm that makes the popular Phantom model, now programmes its drones so that they cannot take off within 1.5 miles of a major airport and must stay below 400 feet within a five-mile radius of the installation. Other drone manufacturers have now begun to add software upgrades to their drone operating systems to prevent them from flying near airports or above a certain altitude. 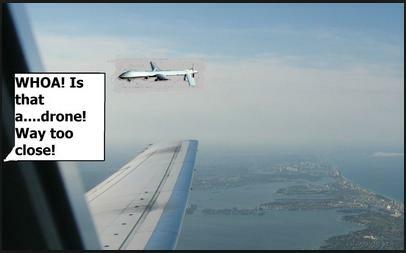 In July a blogger wrote (and we bowdlerise): “Do not be pressured by the drone makers or Congess! Do what is in the interests of the citizens for once! It is time for government to act in the interest of the people for once, and not the corporations who are only interested in making profits.